This is the first installment in a series of articles about PlayStation All-Stars Battle Royale and its ongoing multiplayer beta. This part will examine the beta as a whole. Making a fighting game in the same vein as Nintendo's Super Smash Bros. series is one hell of a challenge, one that the guys at SuperBot Entertainment have been finding out the hard way. And it's not so much designing the game itself as dealing with the fans. First came the outrage at the very concept itself — the claims SuperBot has done nothing but copy the Super Smash Bros. formula wholesale, that they haven't changed enough to make it its own game. 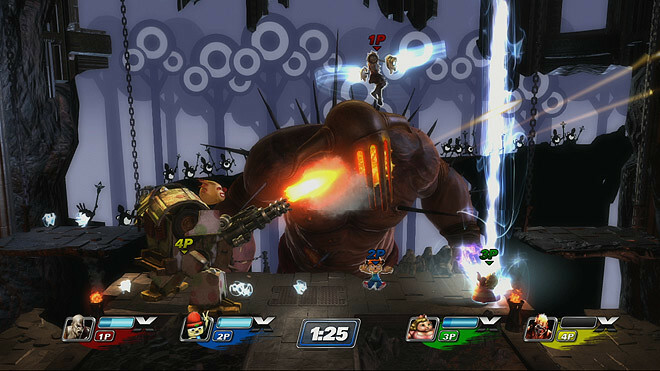 Then, as SuperBot began showing off the game and emphasizing the myriad differences between All-Stars and Smash, came the outrage that the game wasn't similar enough. It seemed like SuperBot just couldn't win; yet, through it all, SuperBot has stayed on message: "Try it before you judge it." Well, now I've tried it. I was definitely one of the people complaining initially that it wasn't close enough to Smash. In All-Stars, you get kills by using super moves. There are three levels of supers for each character, and each requires you to fill your super bar by attacking other players. So you don't have health, per se; you just have a super meter. 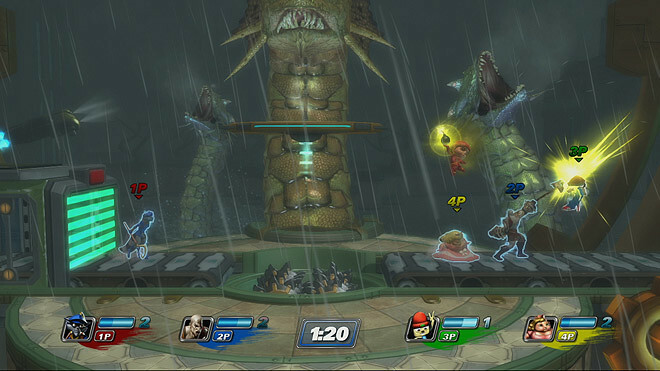 I had no problem with the idea of a Sony Smash Bros., but for the life of me, I just couldn't imagine how SuperBot's supers system could be anywhere near as much fun as the percentage damage system in Smash. That's because the beauty of Smash is in its orchestrated chaos. As your damage percentage increases, each hit sends you flying just a little bit farther. There's no limit to how much it can increase, but there is a limit to how much screen space you have before you get wiped off the map completely. Every time you engage another player and go sailing away, it's exciting: will you somehow manage to claw your way back onto the stage, or is this finally the one, the hit that you won't be able to come back from? There's a push-and-pull there, an inherent drama built right into the system. There's just something visceral about hitting an opponent so hard he goes careening off-screen and explodes, something that it's hard to imagine a super in All-Stars could ever channel. When characters get hit with a super, they don't go rocketing away; they disappear in a white puff and respawn a few seconds later. It's clinical by comparison. How could that possibly be as fun? Here's how: supers can kill multiple players at once. Killing just one other player with a super often feels like a waste of a super, but when you manage to kill every other player simultaneously, there's nothing more satisfying. They didn't just disappear in a white puff; you zapped them away in a brilliant white blast of energy that reached into the heavens. You didn't just punch them so hard they flew off-screen; you hit them so hard they literally combusted right where they stood. They ceased to be. It's yet another example of how players, myself included, should feel secure putting our trust in SuperBot. And really, that's the bread and butter of the game, at least in this multiplayer beta. The winner is determined at the end of the match by multiplying the number of kills each character got by two, then subtracting their deaths. The person with the highest score wins. It's yet another example of how players, myself included, should feel secure putting our trust in SuperBot. The idea that you have no idea who's in the lead until the match is over sounds completely crazy and even frustrating — until you've tried it for yourself. In practice, it means that players don't all gang up on whoever has the most points. It means that matches stay tense the whole way through. It means that there's no reason to get discouraged and stop fighting as hard because you honestly never know how things are going to shake out until the very end. You might have a general idea, but you never really know, thanks to the intelligent scoring system that puts an emphasis on your kill-death ratio more than how many individual kills you got. So if one player is racking up kills left and right but dying a lot in the process, he could easily lose out to a more conservative player who's getting fewer kills overall but rarely dies. The game has an interesting control scheme that's really simple on the surface, but thanks to that simplicity, allows you to focus more on your strategy and less on button combinations. Each face button has a distinct function that changes dramatically with each direction of the left analog stick. Kratos's standing square attack, for instance, is a basic attack where he swipes forward with his Blades of Chaos; hold left or right while pressing square, however, and he'll throw the Blades into his opponent and lunge into them, sending them flying away. It's a cool system (that's not unlike Smash) that removes one of the most frustrating parts of fighting games: executing button combos. SuperBot has still clearly put a ton of effort into fleshing out each fighter—they even hired Capcom's fighting game guru, Seth Killian, to help out—which makes it feel a little deeper than Smash, but not unapproachably so. It just means that I never felt like I had to worry about remembering which direction that last quarter-circle in the sequence is supposed to go and which three buttons I need to tap right afterward with precise timing. It means that the controller melts away as I'm playing and I can just react to what's happening on screen. There are definitely downsides to it though, like the majority of Kratos players constantly relying on that forward lunge move. Honestly, I often found myself doing that move and a couple others like it with different characters unintentionally because you're almost always pointing the left analog stick in a direction anyway. It creates issues with character balance and some frustration in seeing other players spam the same moves again and again, but I'll address all that in more detail in subsequent articles. Now, this is a beta, so there are obviously going to be technical issues that I can't just ignore. I've had a fair amount of dropped games with various error messages attached to them and the game has completely crashed on me a few times, requiring a hard reset of my PS3. 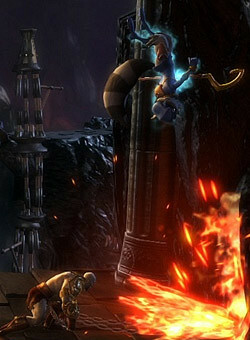 There are problems in matches too sometimes, the most common being when a player will die and is unable to respawn (always hilarious if they have a mic connected), and the most memorable being the time when one Kratos in an all-Kratos matchup somehow became invisible (except for his Blades) and also totally invulnerable to our attacks. Other than that, though, the game has been shockingly solid for an online fighting game. There are times when I can tell lag is interfering with hits, but it's pretty rare. The vast majority of the time, it feels perfect. Given how important a smooth experience is for a fighting game (and how many fighting games fail spectacularly at achieving that experience) the All-Stars beta has been my favorite online fighting experience to date. Let's just hope it holds up when the finished game is released. So far, it feels like SuperBot is on the right track with All-Stars, but they'll still need to convince a dismissive general public that this game is more than just Sony Smash Bros.. SuperBot has been pretty quiet about what other modes the game will offer and more details about how the story mode will work, so it'll be interesting to see how the game shapes up as a whole and if it has lasting value. In the next installment in this series, I'll start examining individual characters from the beta in greater depth and whether or not they're balanced (here's a hint: they're not).